The Great Pacific Garbage Patch is just the beginning. 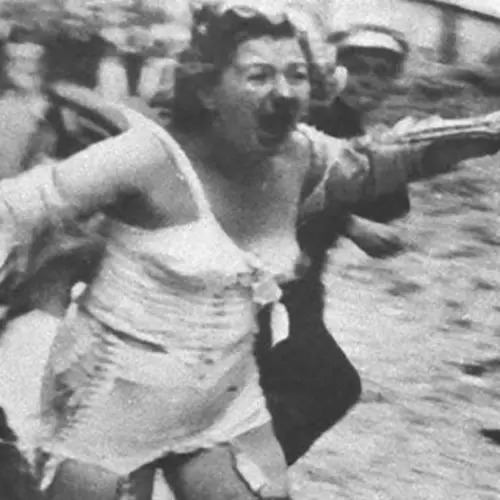 In the past, National Geographic has not shied away from hot-button topics and their latest issue is no exception. With their June issue, the iconic magazine launched their Planet or Plastic? 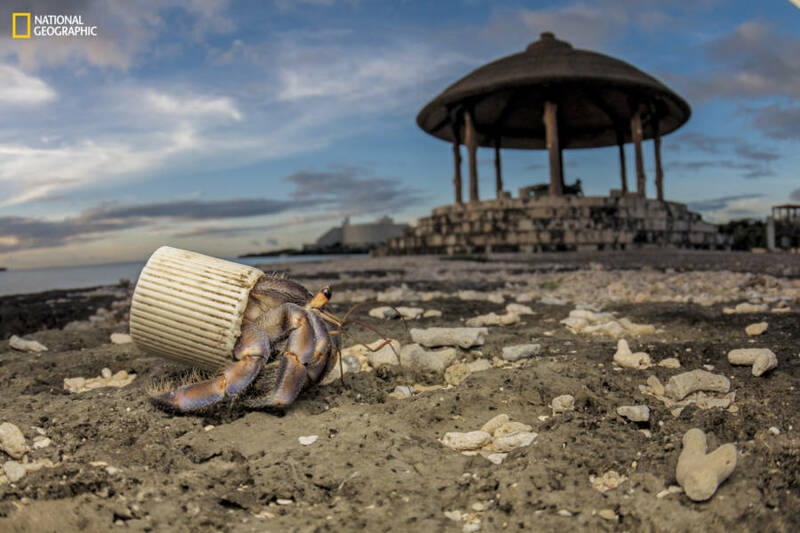 campaign, an in-depth look at the way that human beings’ reliance on plastic is beginning to take a toll on the earth – specifically the Earth’s oceans. 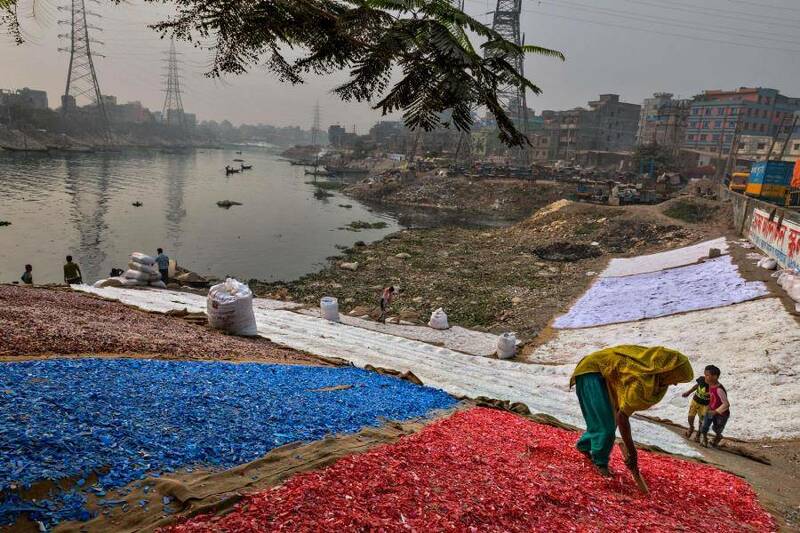 Colored chips of plastic—collected, washed and sorted by hand—dry on the banks of the Buriganga River in Bangladesh. 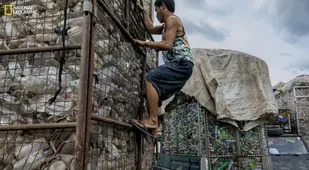 About 120,000 people work in the informal recycling industry in Dhaka, where 18 million inhabitants generate 11,000 tons of waste a day. 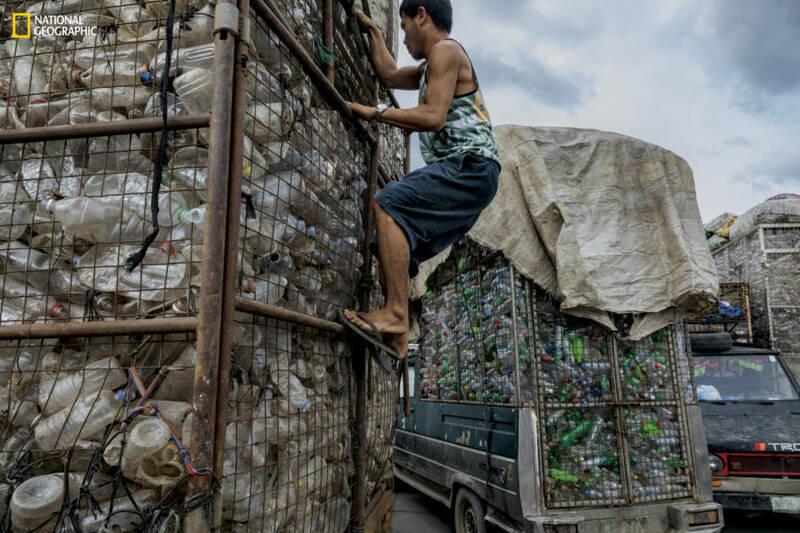 The campaign that has been years in the making focuses not only on informing the public of the growing plastic epidemic but letting people know what they can do to help. 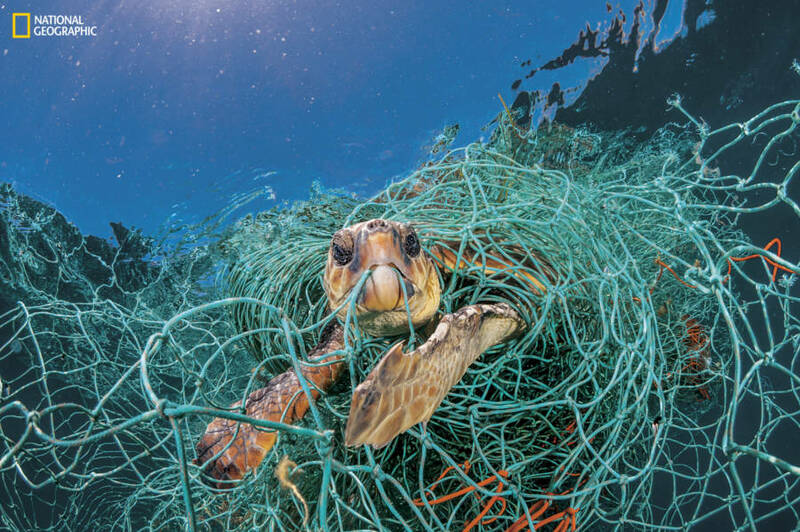 The issue features a comprehensive look at the scale and impact that trash is having on the environment and invites readers to join in by using the hashtag #PlanetorPlastic to engage in the conversation. In the modern world, it can seem almost impossible to avoid single-use plastic. Almost everything you can buy online or from a store is likely to be wrapped in plastic wrap, shrink-wrapped, or covered in protective cling-form. Not to mention the number of plastic bottles that are purchased every day, which is increasing over time. The problem with plastic is not that it's everywhere, but that once it's created, there's nowhere for it to go. Of the 9.2 billion tons of plastic that cover the earth, 6.9 billion tons of it are waste. That means that 6.9 billion tons of plastic bottles, or annoying clamshell packaging, or even plastic cups never made it into the recycling bin – which, in most public spaces, resides right next to the trash can. 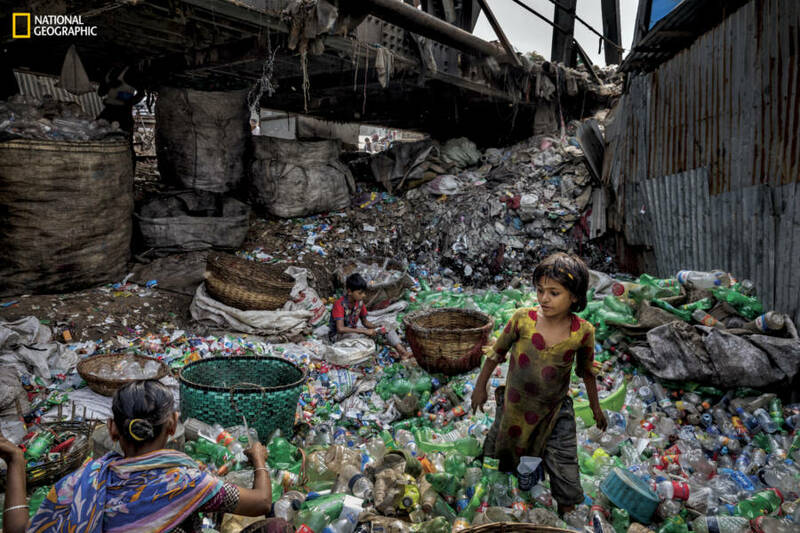 National Geographic explains the rapid growth of plastic trash with a horrifying comparison. As plastic was only invented until the late 19th century and didn't fully go into production until 1950, we've only had about 70 years to make this mess. Imagine now if the Pilgrims had invented plastic. 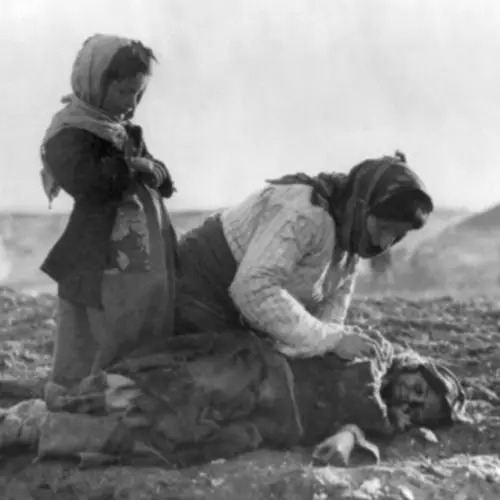 If humans have done this much damage in less than one century, imagine how much they could do in four of them. Of the 6.9 billion tons of plastic trash, it's estimated between 5.3 and 14 million tons make it into the oceans each year. Most of it is dumped on land or in rivers, and makes its own way to the sea. 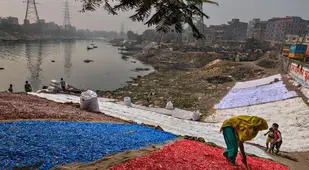 National Geographic paints another vivid and shocking picture, asking readers to imagine five plastic grocery bags, each stuffed with plastic trash, sitting on every foot of coastline in the world. That, they say, is how much trash is in the oceans right now. As far as how long all of that trash will take to degrade, the answer is still up in the air. Plastic doesn't biodegrade quickly if it even does. The best guess that researchers can come up with is 450 years. Possibly never. As long as it remains in Earth's waterways, plastic will be slowly killing off ocean's creatures. Though many people imagine the ocean's plastic trash to be neat little plastic water bottles, much of the trash that floats through the sea actually consists of large pieces. 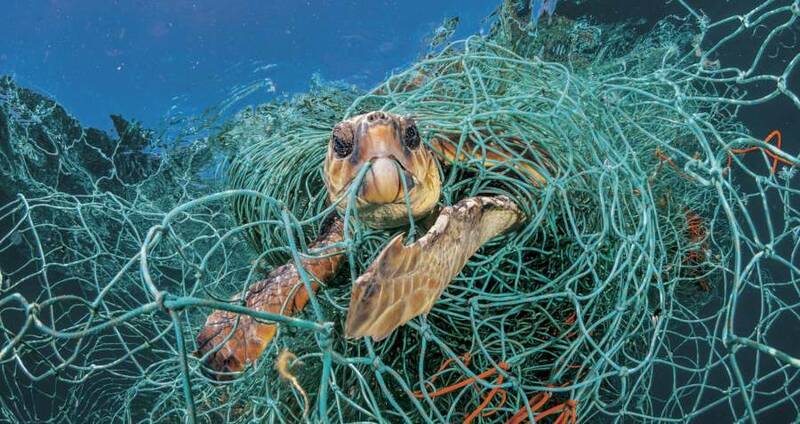 Discarded fishing nets known as "ghost nets" and six-pack rings make up a large portion of the plastic in the sea and are also some of the most dangerous. 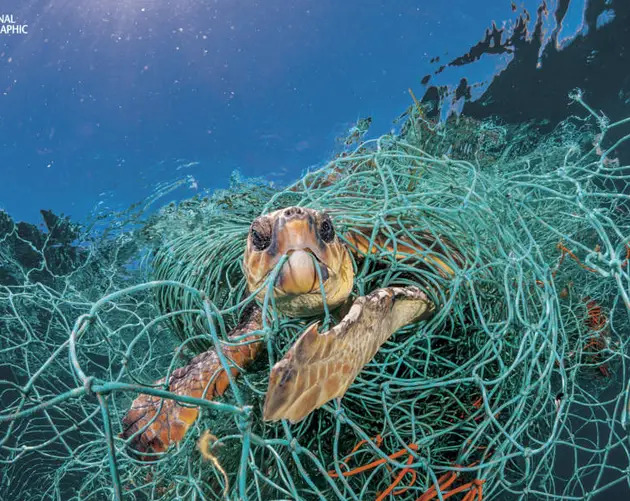 On social media, it's hard to avoid seeing photos of turtles with plastic six-pack rings stuck around their necks or seabirds with fishing nets tangled around their legs, though that doesn't seem to stop people tossing their plastic in the trash. Finally, National Geographic rounds out their campaign by offering tangible solutions to the global trash problem, pointing out that it's a relatively easy fix. At least, easier than climate change. As they point out, there are no "ocean trash deniers" (at least, not yet). The campaign points out that major brands and global companies are on board as well. Coca-Cola, which produces Dasani water, has vowed to collect and recycle the equivalent of 100 percent of its packaging by 2030. PepsiCo, Amcor, and Unilever have made similar pledges, vowing to convert to 100 percent reusable, recyclable, or compostable plastic by 2025. Johnson & Johnson is switching back from plastic to paper stems on their cotton swabs. But the campaign points out that individuals can make a difference as well. Boyan Slat, a 23-year-old from the Netherlands, singlehandedly came up with an idea to clear the Great Pacific Garbage Patch and has since raised over $30 million for his machine. 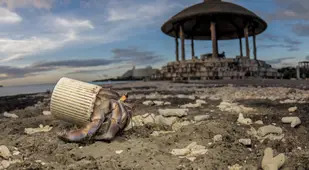 Though Slat's plan is without a doubt great, there are also impactful little ways for every day humans to reduce trash - even eliminating something as little as plastic straws can help cut down on plastic a huge amount. 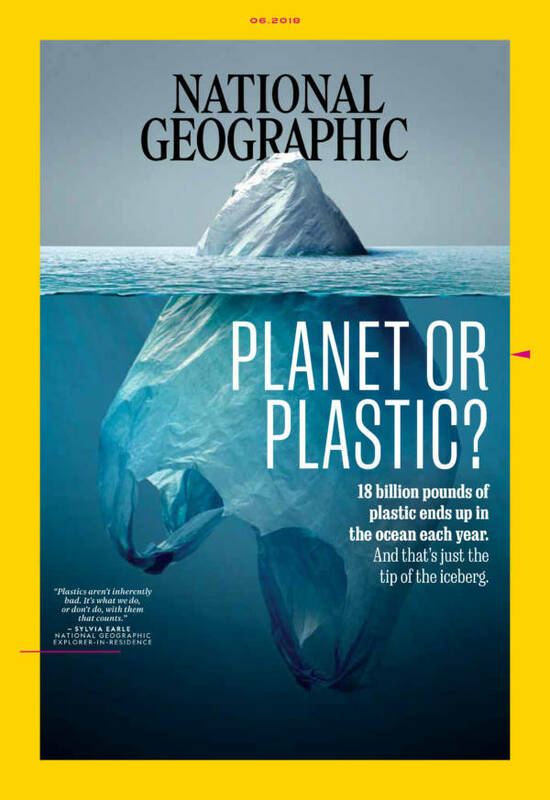 To check out the full National Geographic Planet or Plastic campaign, head to the campaign's official website. Next, check out the study that says conservation is pushing animals into new territories. 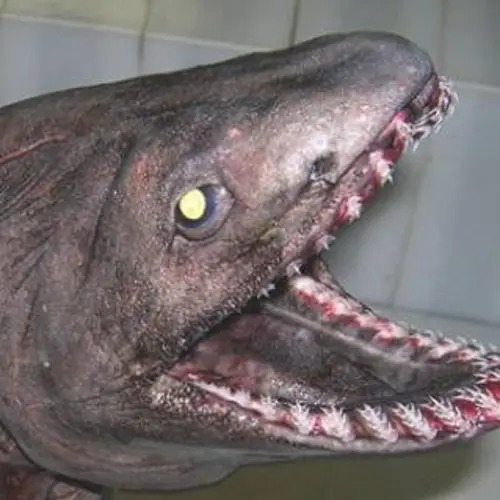 Then, read these 10 amazing facts about ocean animals.